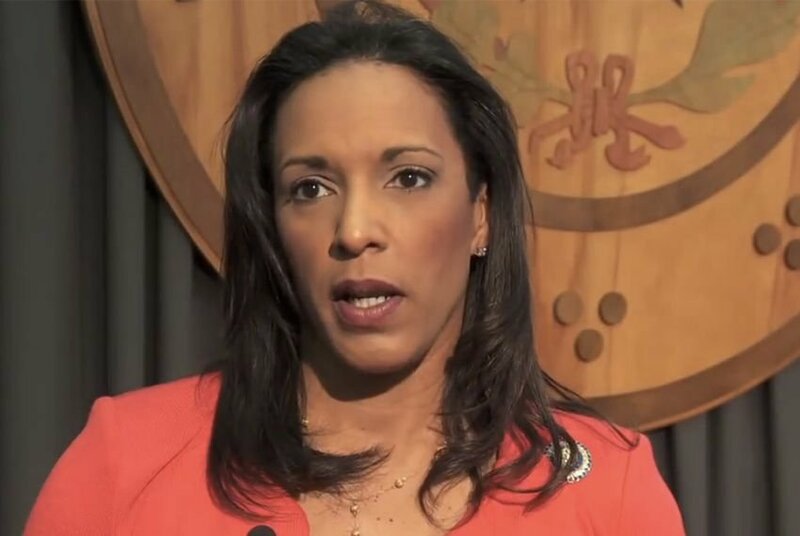 State Rep. Dawnna Dukes, D-Austin, is resigning in January, she said Monday. The 11-term state representative said her resignation was a result of health issues related to a 2013 car accident and concerns over caring for her 9-year-old daughter. Her announcement comes as the Travis County District Attorney's office is conducting a criminal investigation into her alleged misuse of staff and government funds. "It is with great sadness that I announce today my resignation from my seat in the Texas House of Representatives effective midnight January 10, 2017," Dukes said in a statement. "My resignation is the result of injuries I suffered as the result of a car crash in August 2013 and the health complications stemming from said injuries." Dukes' name will still be on the November ballot, and if she beats Republican Gabriel Nila, Gov. Greg Abbott could call a special election to fill her vacant seat. The next legislative session begins Jan. 10. Dukes missed much of the 2015 legislative session and has said her absences were related to her health issues stemming from the car accident. Former staff members accused Dukes of seeking reimbursement from the state for travel payments she was not entitled to. In February, The Texas Tribune reported that the state auditor's office was investigating her use of state workers on a personal project Dukes oversaw, the African American Heritage Festival. The auditors referred the case to Travis County prosecutors. Then, in April, state officials said the Texas Rangers had joined the Travis County District Attorney's office criminal probe. A spokesman for the Rangers, Tom Vinger, said Monday their investigation is complete and has been presented to the Travis County District Attorney's office. Gregg Cox, director of the special prosecution division of the district attorney's office, said Monday: "The matter is still under review." Dukes has said the allegations against her related to the festival are "nonsense,” and in her resignation statement, she said she was “content that two signature community programs I initiated enriched my beloved District 46 and Austin community,” including the festival. "This has been a very difficult decision to make," she said. "However, in light of my ongoing health issues and concerns, I find that I can no longer provide the active, effective leadership that is needed to continue my sworn duties. I must take the time to focus all of my energy to heal and continue to provide for my young daughter and extended family." Dukes continued: "It has been a tremendous honor to serve the good people of Texas House District 46 for 22 years. I will continue to keep you in mind during the coming session and beyond. I ask that you continue to pray for my family and me during this difficult time." Dukes did not immediately respond to an interview request. Her resignation was first reported by The Quorum Report. In a statement, Nila said he wishes Dukes a "full recovery" but added that if her reason for stepping down is due to health concerns, she should step down "immediately" and not after the general election. "The reality is that Dawnna Dukes has been under criminal investigation for many months," Nila said in a statement. "The constituents of this district deserve to have new representation immediately, not months after the new biennial session begins." Later Monday, former Austin Mayor Pro Tem Sheryl Cole, a longtime resident of East Austin, said she might run for Dukes' seat. "This morning I have received an incredible outpouring of support and encouragement from community leaders and my family," Cole, a Democrat, said in a statement. "It is with their support that I am seriously considering running to House District 46." Earlier this year, the Texas Rangers joined a Travis County District Attorney office criminal probe into Dukes' use of staff. The State Auditor's Office began investigating in February whether Dukes improperly required her legislative staffers to participate in work for a nonprofit group that she founded. A former staffer for Dukes has claimed the Austin Democrat sought reimbursement from the state for travel payments she was not entitled to. Additional reporting by Edgar Walters.